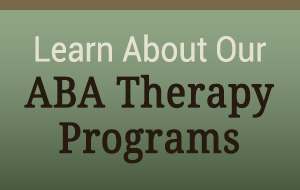 Visit our ABA Therapy Page to learn more. 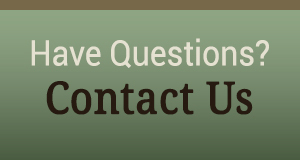 How should ABA Programs be supervised/supported? ABA programs should be written and supervised by a Board Certified Behavior Analyst (BCBA)™. Please see BACB guidelines for consumers for more detailed information regarding what to look for in a BCBATM. How many hours per week of therapy does my child need? The number of hours your child requires will depend on how far behind they are in certain skill areas. The clinical directors at PBC will work with the case managers who complete the assessment to make a recommendation on how many hours of therapy your child should receive once the initial assessment is completed. The intensity of services can be adjusted as the child gains new skills and is re-evaluated routinely throughout your child’s treatment. Therapy sessions range anywhere from 2-4 hours in length. Therapy sessions are typically not scheduled for less than 2 hour periods after the initial assessment is completed. How many people will be on my treatment team? This varies based on the number of hours your child is receiving. Some children see only a case manager (BCBA) and 1 other therapist. Others have up to 4 therapists in addition to their case manager (BCBA). Does PBC accept public insurance? Does PBC accept private insurance? Can I hire my own therapists? Typically PBC will provide therapists as it leads to greater consistency across therapists and better supervision of the program. Is ABA the same as VB? ABA stands for Applied Behavior Analysis and is the term for the scientific field that supports ABA therapy. VB stands for Verbal Behavior and it is a specific approach to teaching language skills utilizing the principles from the field of ABA. Discrete trial instruction also known as discrete trial teaching (DTT) or intensive teaching is a teaching methodology typically used in ABA therapy. It is a highly structured method of teaching skills by breaking them down into smaller, teachable components. The ‘trial’ in discrete trial teaching comes from the systematic presentation of the task or directions, use of prompts when needed, and delivery of reinforcement. These trials are presented many times over the course of a teaching session. This results in the learner having many opportunities to practice the new skill, which typically results in more rapid acquisition. At which point these skills are generalized to the natural environment. What is a BCBA and why do I need one? What ages does PBC serve?